Celery contains high level of calcium and sodium which are good as supplement after exercise. 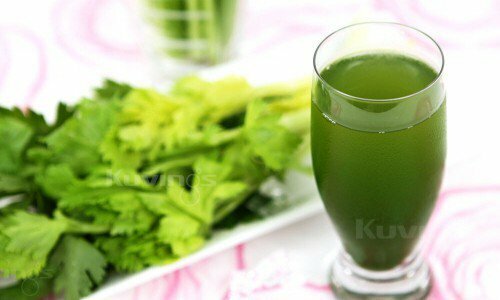 Celery contains coumarin which may prevent disease. Celery lowers high blood pressure and strengthens the vascular system. It helps treat headaches and can assist with lowering inflammation. 1. Clean organic celery with water. Non-organic celery can be cleaned with lemon, vinegar, or baking soda. 2. Soak celery in the cold water for five to ten minutes to refresh. 3. Put the celery stalk in one at a time and allow the juicer to juice it in its own time. 4. Slowly insert celery into the feeding tube of the juicer. Celery contains great amounts of Vitamin A, B, C. as well as calcium, iron, potassium. magnesium and minerals. The scent of celery helps to increase the appetite and reduce fatigue. Rich fibre helps to treat constipation, and lowers cholesterol level. Celery helps reduce the sign of aging. 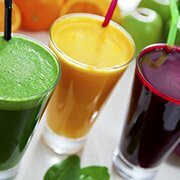 You can add celery to most vegetable juices to increase the amount of liquid. Celery is great with carrots, beetroot, apple and ginger.